By the end of the lesson, students will be producing /dʒ/ more accurately and fluently in roleplaying and storytelling activities. The students will pronounce /ʃ/ or /tʃ/ for /dʒ/ and may not identify the difference. They may become frustrated if they cannot reproduce the sound correctly. 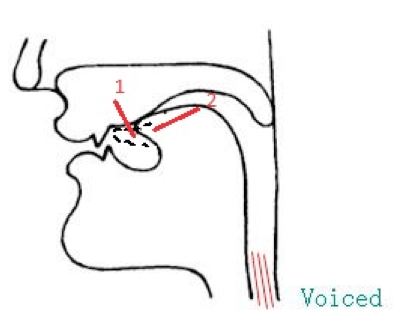 1-The teacher will draw the profile of the sound /dʒ/ as described in step 3 below, and show the articulation of the sound. 2- The teacher should have appropriate and exciting activities which help SS practice in a non-stressful way. Board, markers, minimal pairs and role-play handouts. -Baker, A. 1981. Ship or Sheep? An intermediate pronunciation course. UK: Cambridge University Press. Learn to create fun and engaging pronunciation lesson plans with a TESOL Diploma! Step 1- Present the sound through a story. 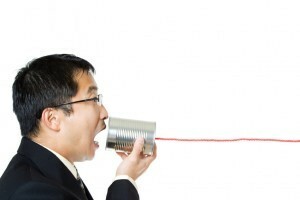 Skills: listening and speaking – Technique: Answer questions – Interactive pattern: T-S – Time: 5-8 minutes. Where was the accident, on a bridge or a highway? Was he driving carefully or dangerously? What was he doing before he drove? T: Now listen to the story. Two jeeps crashed on a bridge in January. A man named George John was driving the larger jeep. He was driving very dangerously because he had been drinking ‘soju*.’ The other jeep went over the edge, and two kids were injured. Now George is in jail. *soju is a Korean alcoholic drink. T: Where was the accident, on a bridge or a highway? T: What kind of vehicle was it? T: Tell me, who was driving? T: Was he driving carefully or dangerously? T: What was he doing before he drove? T: What happened to George? T: And do you remember when the accident happened? Step 2: Elicitation and systematization on the board. Skills: listening and speaking Technique: concept questions and brainstorming words with /dʒ/. Interactive pattern: T-S – Time: 10 minutes – Aids: the board. T: [Circles all words containing the letter ‘j’ ] Look at these words (January, jeep, John, soju, injured, jail.) What letter do they have in common? T: Now, are there any other words that have a different spelling, but have the same sound as ‘j’ /dʒ/ in January? T: Right, so even though it’s spelled ‘dge’, you still pronounce it with the sound in ‘j’. What other words on the board are spelled ‘dge’. T: Look at the list and find the other words with this sound, but with a different spelling. T: What are some other /dʒ/ sounding words? Can anyone think of other words with that sound? S: Answers will vary. Possible answers: job, juice, orange, Jane, gin, just, etc. T writes new words under the corresponding letter in the chart above. Then, circles the highlighted portions of the words and writes /dʒ/ as a title over the chart. T shows the students the following picture or draws it on the board. The profile shows the articulation of the sound, i.e., how the tongue sits in the mouth. T guides the students with tongue positioning. T: First, think of the sound /d/ and put the tip of your tongue against the roof of your mouth. (Have them practice /d/ alone first). Now, to make /dʒ/, you have to move your tongue slightly backwards and quickly release a VOICED puff of air, slowly dropping your jaw. Touch your throat and feel the vibration. This is a voiced sound. T models the sound again and gets the SS to practice the sound slowing, focusing on the two tongue positions described above. T goes around and makes sure each individual student understands how to make the sound. T: Ok, now that you have a better idea of where to place the tongue to pronounce the sound /dʒ/, let’s do some more practice. Learn to supplement the textbook with authentic material! Study TESOL online! Aims: To distinguish between the sound /tʃ/ for ‘chain’ and /dʒ/ for ‘Jane’ through minimal pair listening activities. To practice the sound in short sentences through various oral activities. Which one contains the sound /dʒ/? T checks answers, models the words and writes the pairs on the board. T gets the SS to repeat the minimal pairs in turns. Note: the difference between these two sounds is voicing; the vibration (/dʒ/) or lack of vibration (/tʃ/) of the vocal folds. They share the same place (post alveolar) and manner of articulation (affricative). T checks students’ answers and corrects when necessary. Activity 3 – Identify the sound in sentences. Skills: reading, listening and speaking- Technique: circle the right word and repetition – Interactive patterns: individual and pair work – Time: 5 minutes – Aids: handouts with sentences. He’s the manager of the travel agency in Chester. Many ginger-haired people live in this village. My trainer at the gym is German. Sam joined the club in July. Lea is jealous of her Japanese friend. The sargeant wears his badge with honour. Aim: to produce the sound accurately and fluently through a story and roleplaying activities. Activity 1: Jack’s First day of school – Skill: speaking and listening – Technique: creating a story using pictures – Interactive pattern: pair-group work – Time: 10 minutes – Aids: Pictures: Jack, orange juice, pajamas, gym, German class, jacket, jeans, jeep, Jasper Elementary School, jam jar, and jelly beans. Using the pictures, the students must tell a story about Jack and his first day of school, in pairs. Then they must share their stories with the class. Activity 2: Interviews – Skill: speaking and listening – Technique: Roleplaying- Information gap activity – Interactive pattern: S-S – Time: 15 minutes- Aids: role cards. T pairs SS up and distributes the handouts for the roleplaying. Student A has to use questions to find out information about their partners’ job and complete the chart. Student A has information on his job. Then, they must switch roles. 1-You are a jam taster. You really like your job, but don’t like your manager, Janet. You began working in July 2006. You work at a store called Janet’s Jams. Every day you get to taste a new and delicious jam. 2-You are a fudge taster. Your job is enjoyable. You began working for this company in June 2013. You work with your manager in a small fudge making factory. Every day you binge on chocolate fudge. 3-You are a travel agent. Your job is not enjoyable. You began working in July 2000. You work in a small office with your manager and two diligent co-workers. Every day you tell people to go to the Golden Gate Bridge. 4-You are a singing contest judge. You enjoy your job. You began working in January 1999. You work in a building near a bridge. You judge singers every day. 5-You are a jet pilot. You think your job is great, but it can be dangerous sometimes. You began working in June 2001. You work on a different jet every two weeks. Every day you manage your agenda.